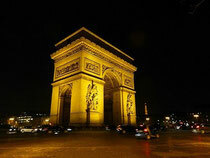 The Premiere Vision is held on September and February each year in Paris. This most prestageous textile exhibition is very hard to pass their qualification. The Morishita Co.,Ltd is lucky to pass the qualification at the first challenge. 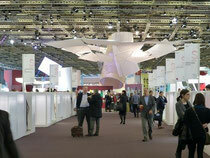 The Premiere Vision is held at the Parc de expodition near CDG airport. 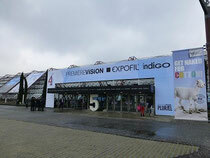 More than 700 companies exhibit and about 40 thousand buyers visit the Premiere Vision. At the reception of the Premiere Vision receptionists who speaks several languages are waiting for buyers. Buyers come around from all over the world. 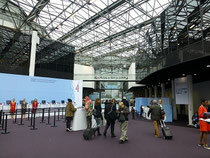 At the center of the Hall the premiere vision selects and exhibits some textile which exhibitors made with confidence. Anyone can check their good products. 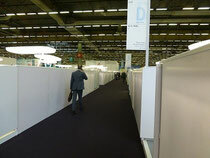 It's a bit difficult to look around each booths because booths are surrounded by wall. We welcome your visit to our booth! See you at next time! 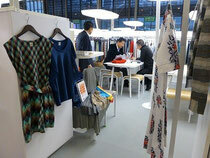 We exhibited at Premiere Vision in Paris S/S 14. Morishita Co., Ltd. was on a News paper.